unparalleled services at unbeatable prices. This is where most e-commerce store owners get stumped simply because they do not have the time or resource to devote to the task. If you happen to be one of them, you’ve come to the right place! At Ace ecomm, we provide complete range of Magento Data Entry Services to help you manage your e-commerce store in a cost-effective manner. 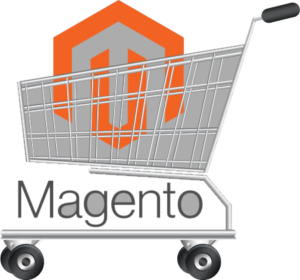 Our Magento experts can handle your complete product database. We can upload products either one by one or in bulk to your website to save time and effort. Our Magento experts help you configure your catalog with different fields like title, meta keywords, meta description, URL writing etc. This is essential for maintaining complete product details. Our experts edit the images to render it the best quality and optimal pixel. After all, images are essential to online sales. This is so that your customers get to view your products in the best possible light. Our experts take special care to ensure right tags are assigned to your products so that your products can easily be found without much hassle. Reviews do matter. People love to hear other people’s reaction and opinion about products and can be a major influencing factor. Positive reviews would mean increase in the number of visitors and eventually more sales. Our experts manage your reviews and take care to present you in the best possible light. Our experts ensure that you are fully aware of existing stock levels and restocking schedule so as to plan operations and shipment accordingly. Our experts write SEO-friendly URLs so as to boost search rankings of the product pages. Our customer-centric approach has helped numerous clients scale up their e-commerce business and enhance revenue. 24/7 customer support by Magento experts. We have a robust team of around 100 staff to handle any upswings without missing any deadlines. Free Trial so you can try out our services before you invest in us!